Alright, let’s begin with drinks! 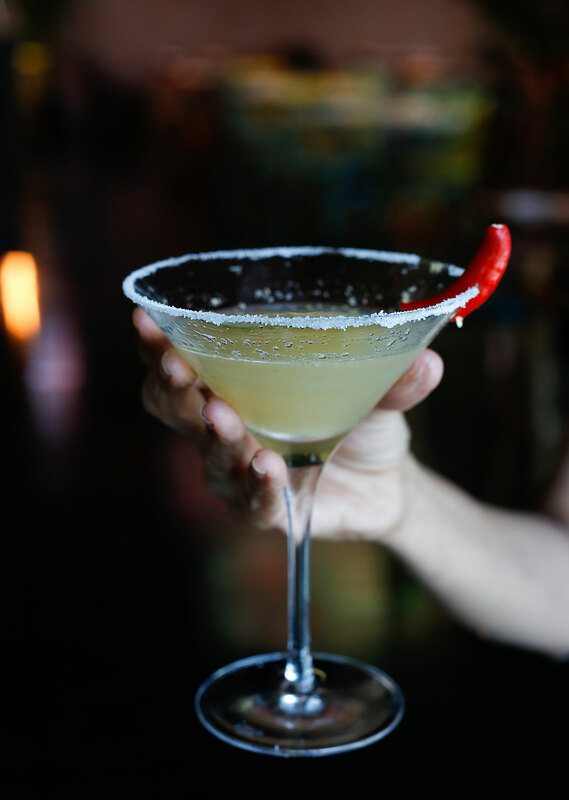 This is the Thaijito – one sip and you’re hooked! 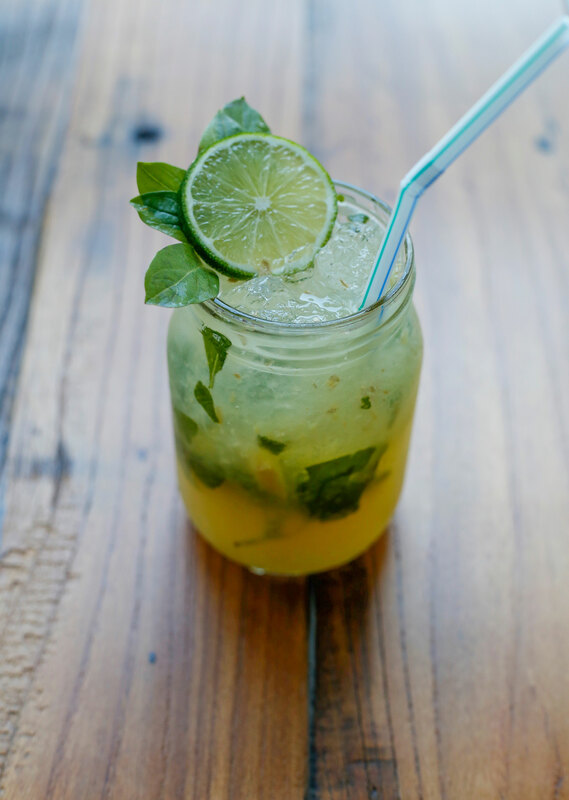 Made with ginger juice, lemongrass juice, basil leaves and lime wedges, it is the perfect drink to beat the heat! Let’s get down to business! The food! 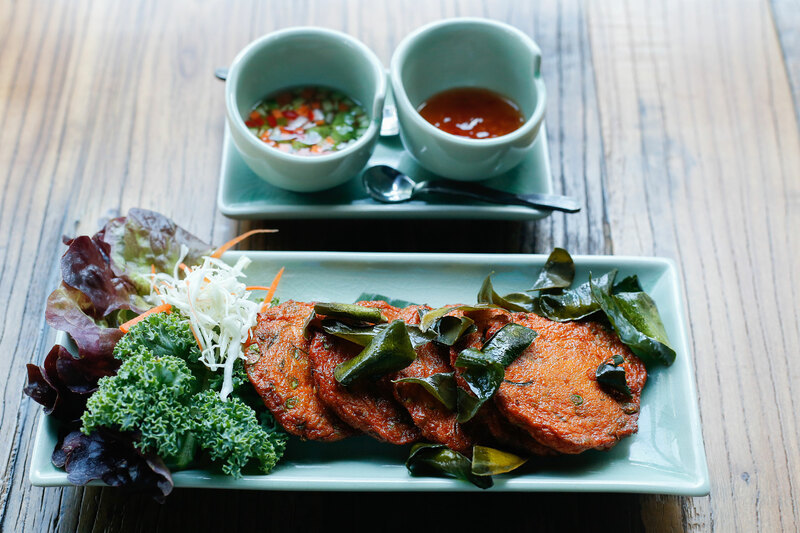 This is the Thod Man Pla – Thai fish cakes with cucumber and peanuts and a sweet chili sauce. 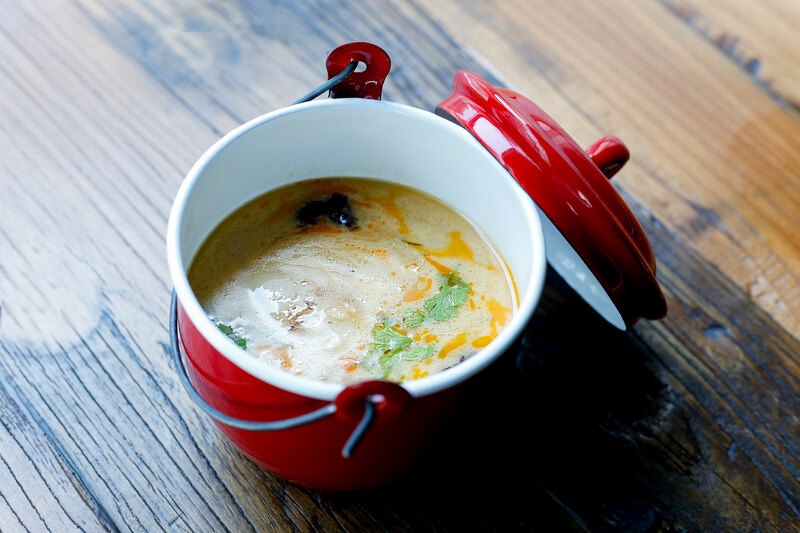 This is the Tom Kha Ped Yang – this iconic soup has a bit of a Wise Kwai twist. Tender pieces of roasted duck and coconut milk infused with spices and Thai herbs. Absolutely loved this concoction. And just look at the bowl it is served in!! I wanted to take it home to my kitchen! 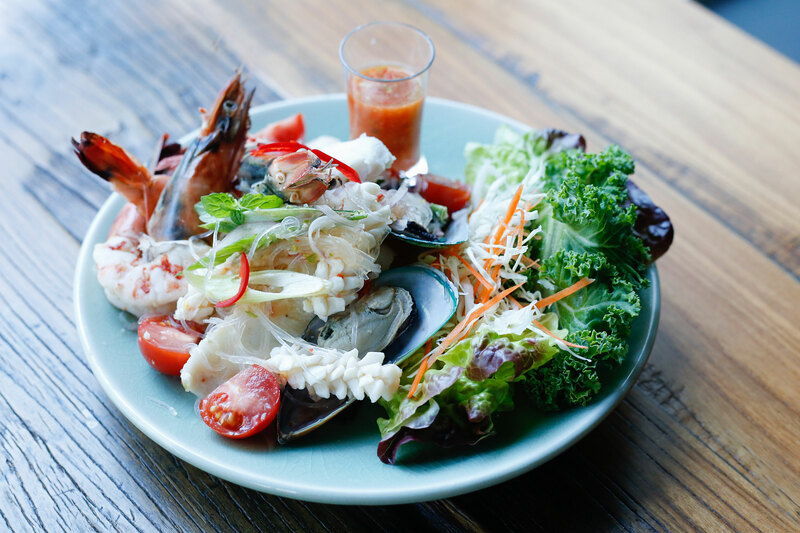 If you love seafood, then you will love this dish! Spicy glass noodle salad with mixed seafood in lime, fish sauce and a chili dressing. The sauce especially has a rounded sweet-sour-spicy flavor that hits the spot. 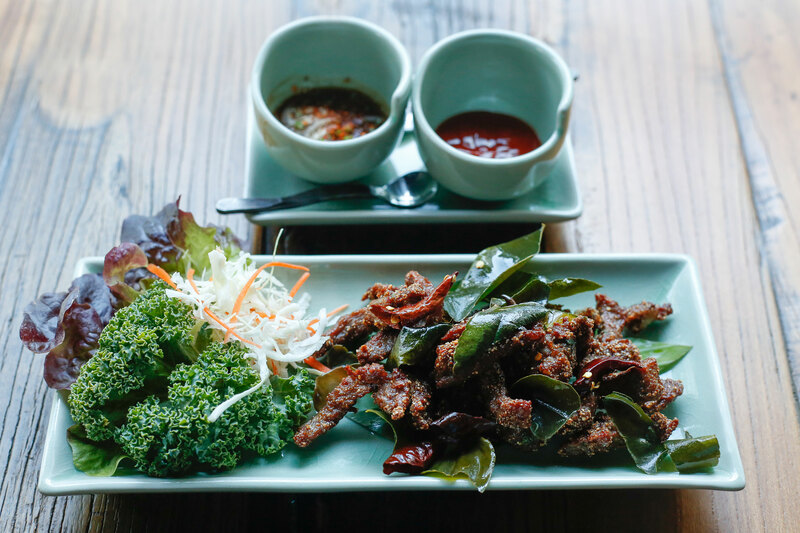 Neua Phayu Foon – strips of marinated crispy beef in roasted rice served with a Thai northeastern sauce on the side. This beef was tender, crunchy and juicy all at the same time! And you know how difficult it is to get beef just right like that. Kra Pao is certainly one of the most popular Thai dishes. Made with basil leaves, fresh chilli, beef, green beans, soy sauce and a little sugar. The beef mixed with steamed white rice makes a very fulfilling meal. In my opinion, this dish is best when a little spicy! This rich and aromatic curry wins me over every single time! 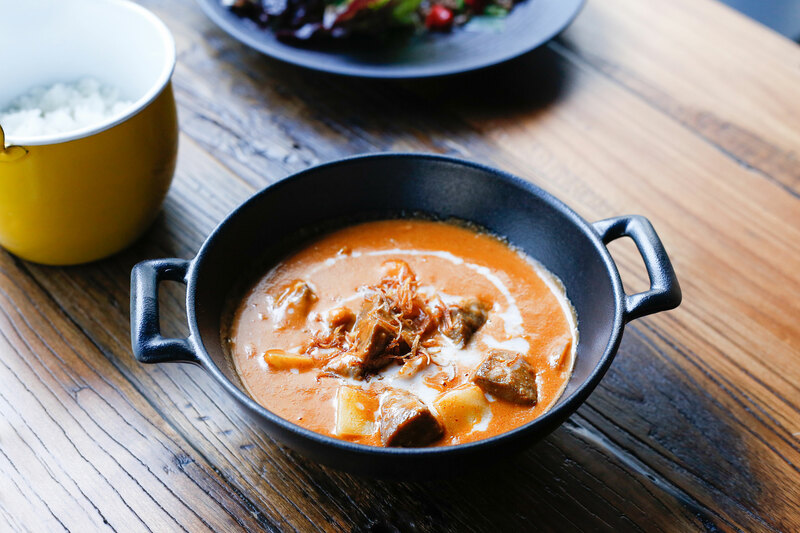 This Massaman Gae is made with slow-braised lamb and potato in a mild and fragrant peanut curry sauce. I am salivating just writing about this! 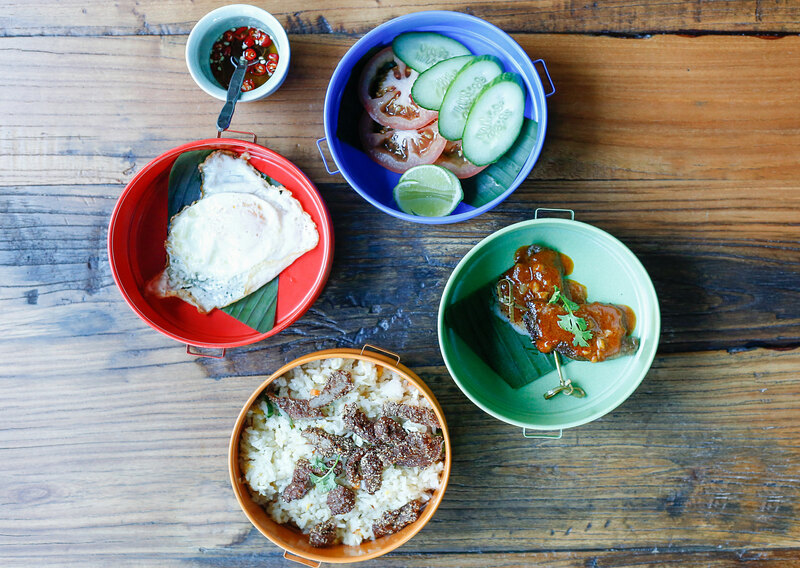 A slight twist on the traditional Khao Pad. 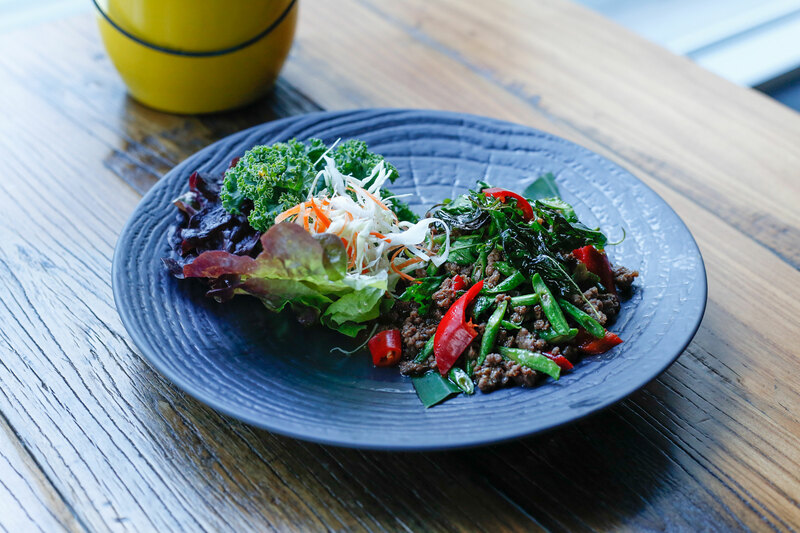 Marinated crispy beef fried rice with egg and vegetables is served tiffin style and you get to combine the different elements to make one seriously tasty plate of food! There is always room for dessert and this dish came highly recommended by the manager. 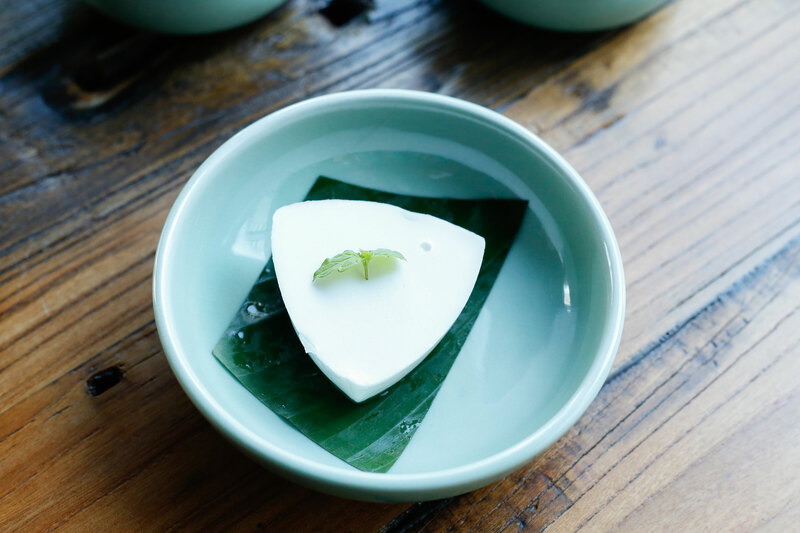 I am a bit apprehensive about eating anything that has jelly in it, but I am glad I indulged in this homemade coconut jelly with young coconut meat. So, so good!! If I could have eaten any more, I would have asked for another serving! 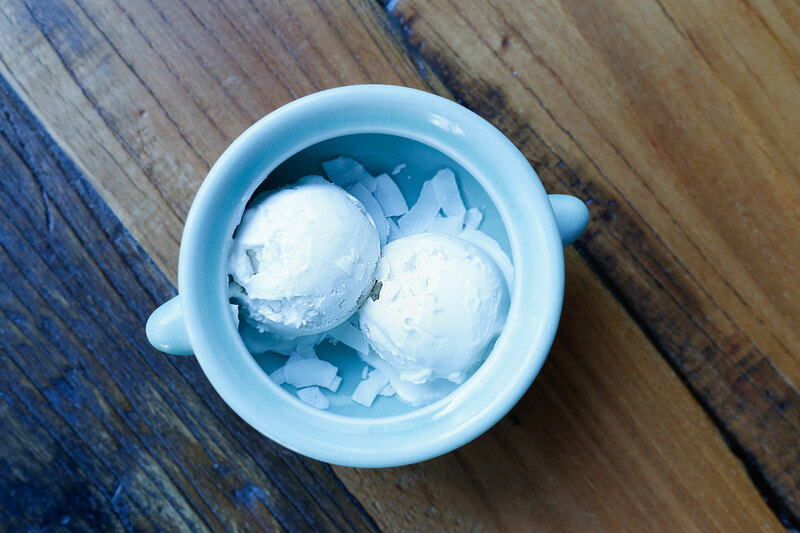 Summer = ice cream! 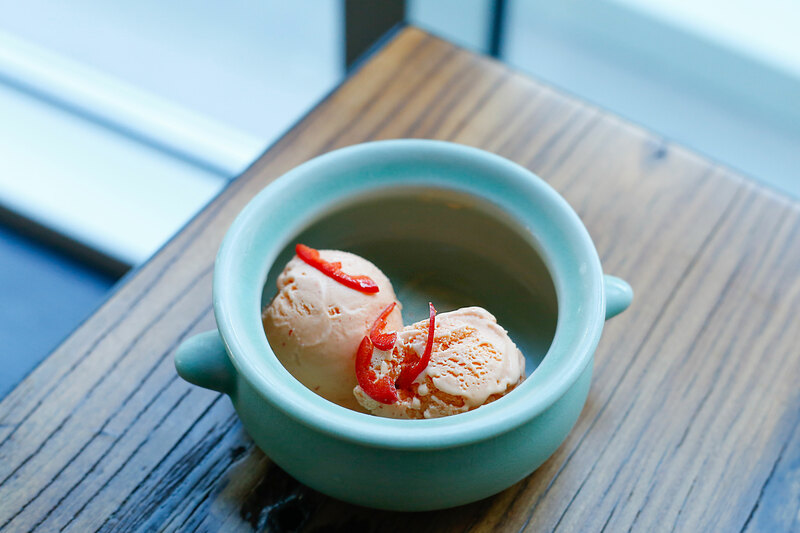 Now who would have thought that Thai sweet chili could make a good ice cream!! Crazy as it sounds, this was delightful and I kept going right back in for another spoonful! 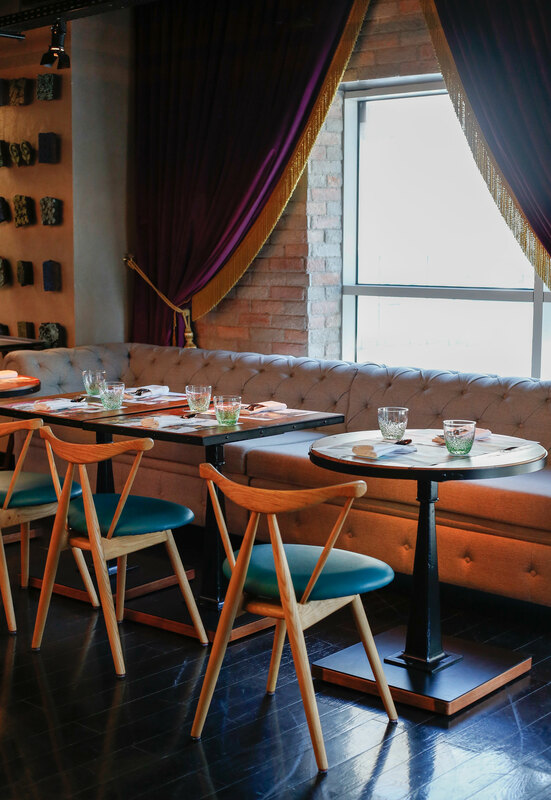 There is no shortage of Thai restaurants in Dubai, but Wise Kwai stands out and it just might be my new favorite. 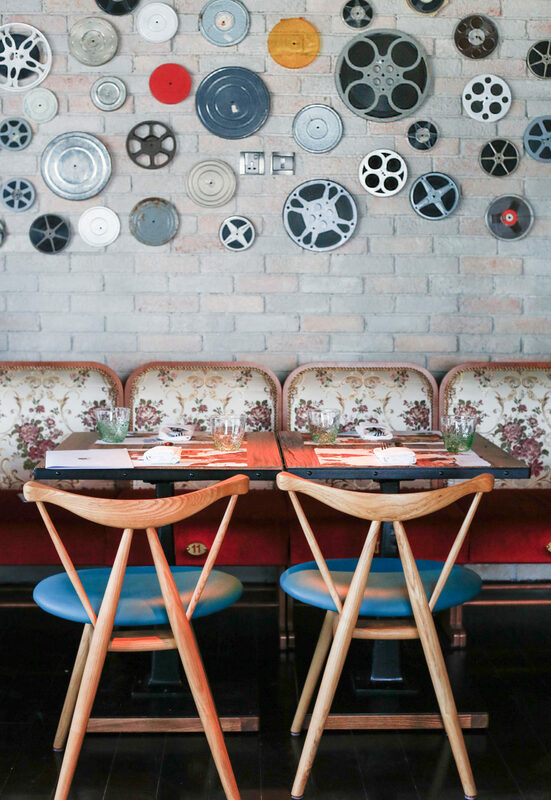 The interiors pay tribute to old Thai cinema right down to the seat numbers on the couches! 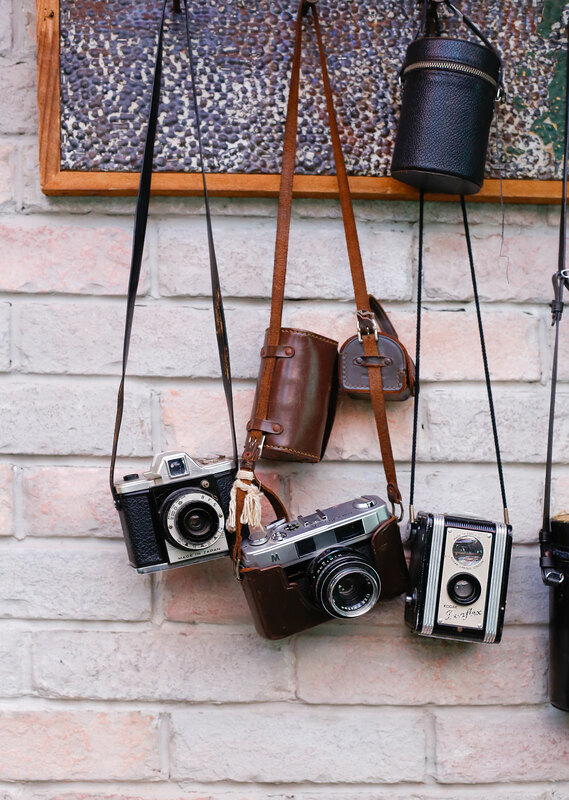 The retro feel and the intimate settings make it just the right spot for a great meal! The service is on point and the staff is genuinely friendly. Will definitely be going back very soon! !